Caroline Emery (Course Director and Director of the Bass Club), Professor at the Royal College of Music and Yehudi Menuhin School, author of Bass is Best. Caroline Emery's contribution to the double bass world is unique. Having graduated from Trinity College of Music and subsequently gained a teaching qualification, she became the leading exponent of the Yorke Mini-Bass Project from its inception in 1984. Since then she has taught in state schools, independent schools and privately. The European String Teachers Association and the International Society of Bassists have provided a platform for her work to be demonstrated internationally and this, coupled with the enormous success of her first Yorke Edition publication Bass is Best in 1988 led to her taking pupils as far afield as America and Norway, where her links with the National Youth Orchestra are particularly strong. The Bass Club which she founded facilitates an exchange of ideas both within Britain and between other countries. 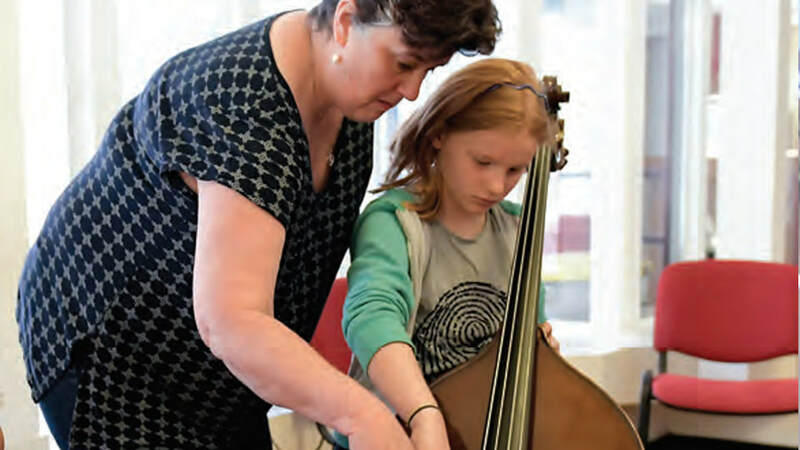 She was appointed to the Junior Department at the RCM in 1985, taught at the Yehudi Menuhin School, where she became the first ever double bass teacher in 1991 and was appointed to the professorial staff of the RCM in 1995.